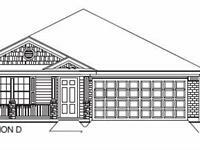 currently under construction at 2918 Katy Hockley Road, Katy. Sales for available units range in price from $218,990 to $278,875. Lakecrest Forest unit sizes range from 1603 to 2576 square feet. 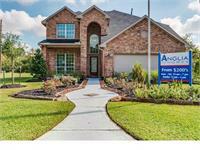 Lakecrest Forest has a total of 8 quick move-in homes currently for sale. The ever popular Katy, Texas is where you will find Lakecrest Forest - it has been a popular favorite among Houston homebuyers. In spite of the tremendeous real estate residential growth to the area - the town still manages to maintain its charming, friendly, small-town atmosphere. Residents enjoy their community surroundings, complete with all the comforts they desire - great food options, plenty of shopping, recreational options and a number of annual festivals and art shows planned throught the year. Katy Schools have a history of delivering highly accredited educaton and arts to the children of Katy, Texas. Residents have quick access to I-10 and the Grand Parkway. Once you visit Lakecrest Forest - you will understand why homebuyers have come to call this area home! Your inquiry will be delivered to the Lakecrest Forest sales team, who will send you more information about this development.